currently under construction at Rosmarino Court, Richmond. Sales for available units range in price from $319,990 to $778,500. Lakes of Bella Terra - La Bella Cortile unit sizes range from 2003 to 4769 square feet. 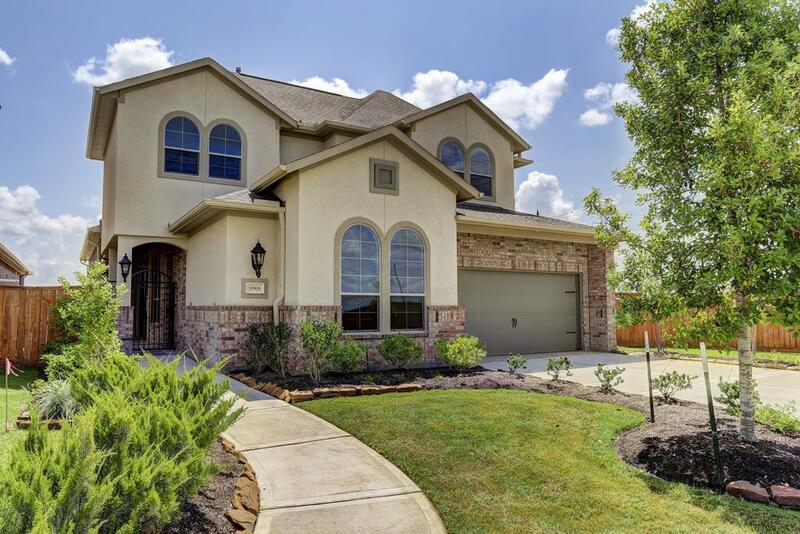 Lakes of Bella Terra - La Bella Cortile has a total of 3 quick move-in homes currently for sale. Designed to offer you the privacy of the inside with the peaceful charm of the outdoors, each plan within the collection enters through a magnificent wrought iron gate into a private courtyard with an enchanting extended veranda. The stunning interiors are highlighted with open living spaces, grand kitchen islands, stunning flooring, en-suite baths, designer cabinetry and high ceilings throughout. Adorned with old world architectural elements the exteriors create a picturesque street scene sure to captivate every audience. To customize to your individual lifestyle additional options are available such as; gamerooms, media rooms, hobby rooms, custom outdoor fireplaces and exterior summer kitchens. Your inquiry will be delivered to the Lakes of Bella Terra - La Bella Cortile sales team, who will send you more information about this development.